People who are confined to wheelchairs often have to depend on wheelchair lifts to get into and out of vehicles. Special modifications are then needed to allow the wheelchair users to drive. So far, there haven’t been many attempts to create a wheelchair-specific vehicle. 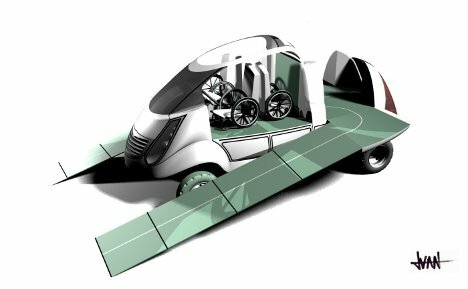 This specialty vehicle designed by LeJuan Richardson is a leap forward in this field. Richardson’s vision involves making it simple for a wheelchair user to get into and out of a vehicle – and to drive that vehicle. 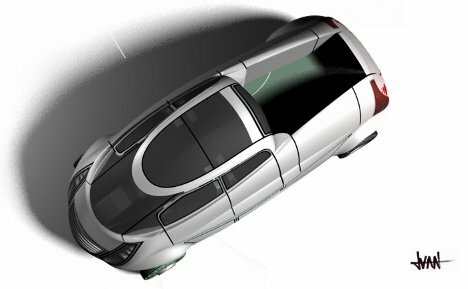 Rather than standard doors and seats, the vehicle would feature doors that swing all the way up to create ample room for chairs to pass through. The interior would be free of standard seats, giving one or more wheelchairs plenty of space to roll into place comfortably. Ramps would be stored in compartments on the sides of the vehicle, making an appearance only when needed to enter or exit the vehicle. 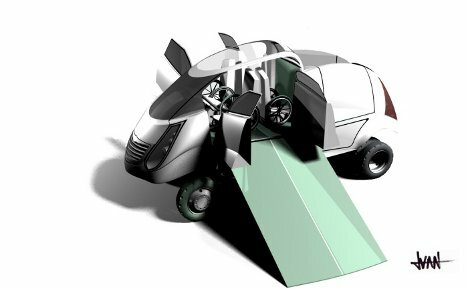 Richardson imagines the ramps in all sorts of positions and configurations in his renderings, making it clear that this concept is very flexible.